It’s like Christmas Eve, with each of our 12 shops are full of elves getting things ready for you to arrive tomorrow! These are the last two sneak peeks, and tomorrow at 9am until May 9 at closing time, you’ll be able to see all of these projects in person at each shop. As we continue our previews of the projects that will be unveiled in each shop Thursday, we should mention that these photos are definitely not doing these creations justice. 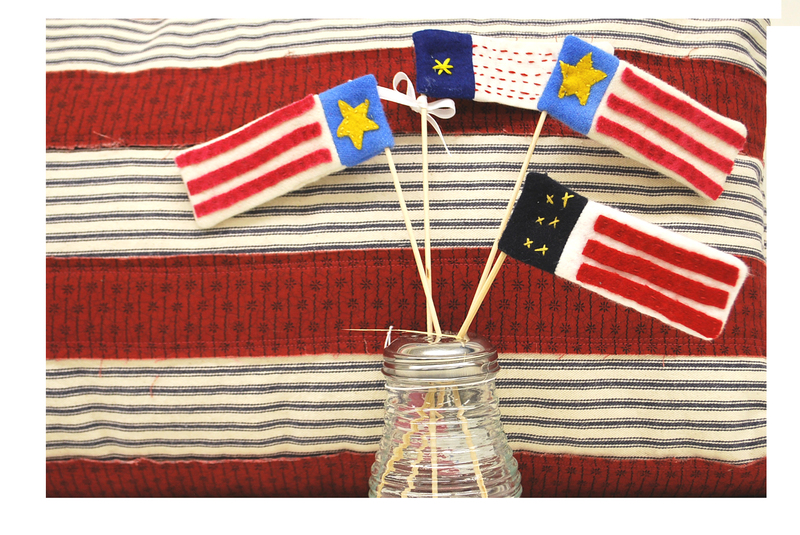 We’re so excited for you to get the see them in person, and even make your own! Just two more days until the full projects are revealed! 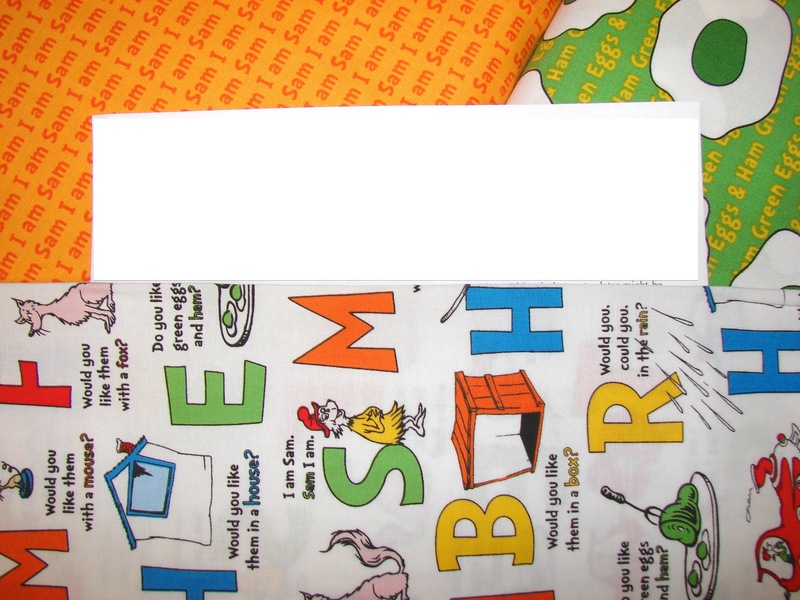 We’ve got a couple more previews for you this afternoon! 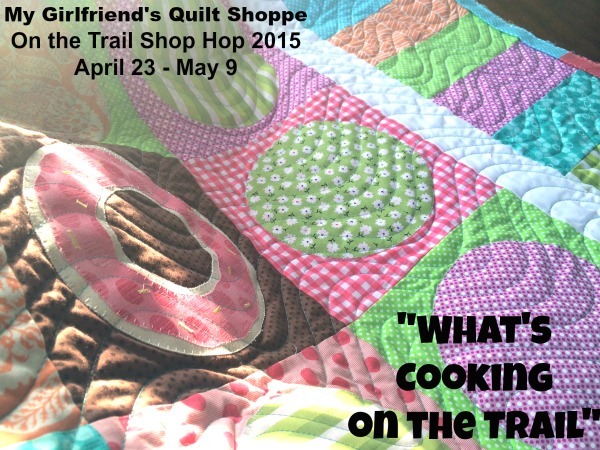 Beyond Bolts – Fabric • Quilting • Crafts is excited to participate in the 2015 On The Trail Shop Hop! Located inside Thayne True Value Hardware & Variety (yes, inside a hardware store! 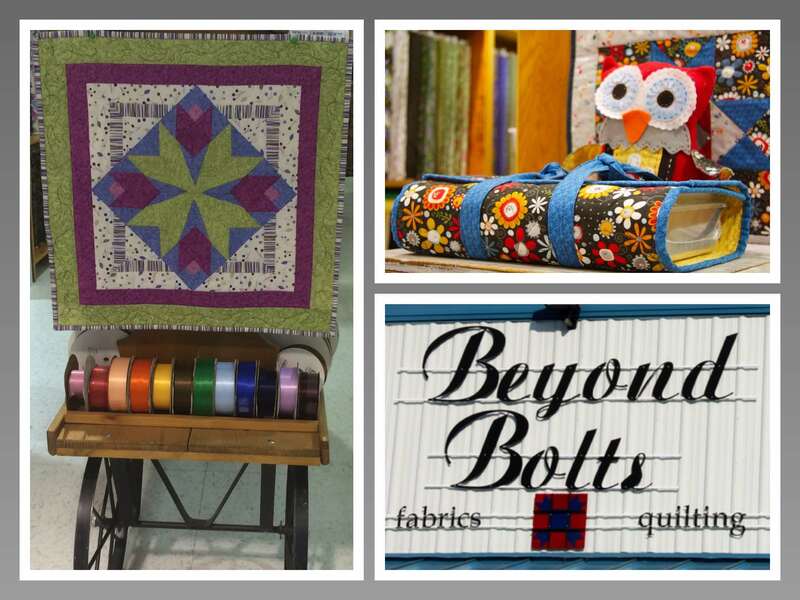 ), Beyond Bolts carries fabric, quilting, crocheting, knitting, scrapbooking, and craft supplies and treasures for the beginner artist and expert quilter alike. We welcome you to come transform your creative dreams into artistic realities! 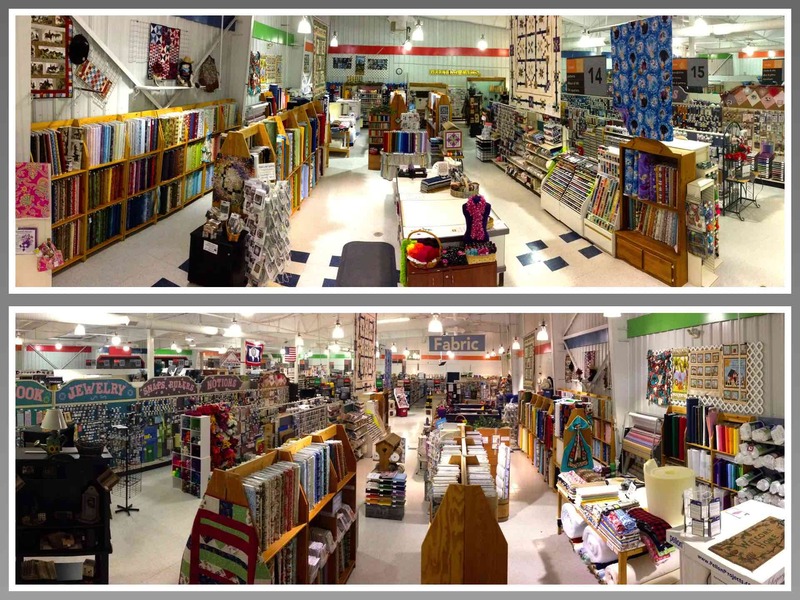 We are located in the heart of beautiful Star Valley, Wyoming in the town of Thayne and carry a wide selection of fabrics – over 2,000 bolts. 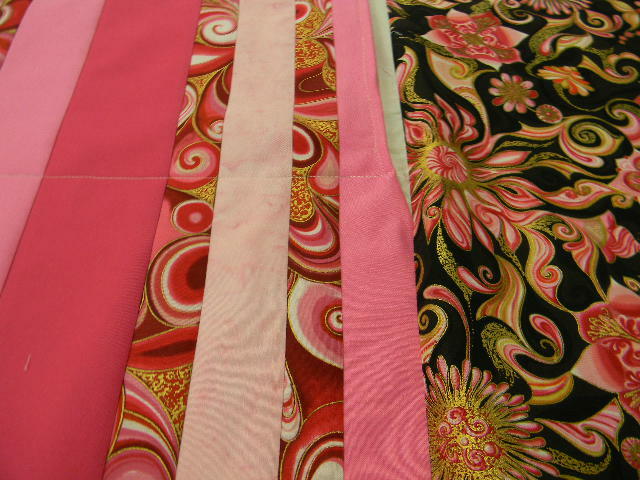 We have minky, fleece, solid and print flannels, solid and print cottons, wilderness, wildlife, and western prints, wide quilt backings and batting, felt, netting, tulle, tricot, and vinyl. 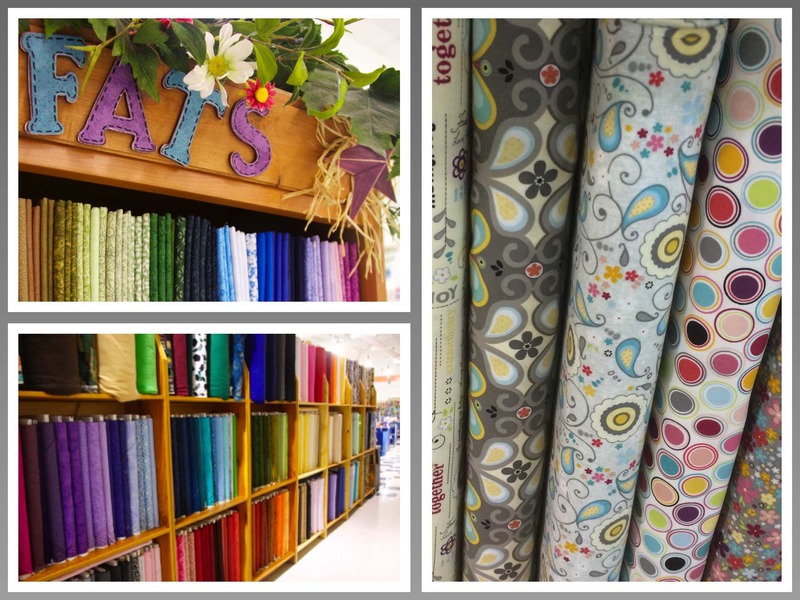 To assist in your creative constructions, we carry other tools of the trade like thread, patterns, ribbon, zippers, buttons, and other supplies for the sewing enthusiast. Beyond Bolts offers several brands (and many colors!) 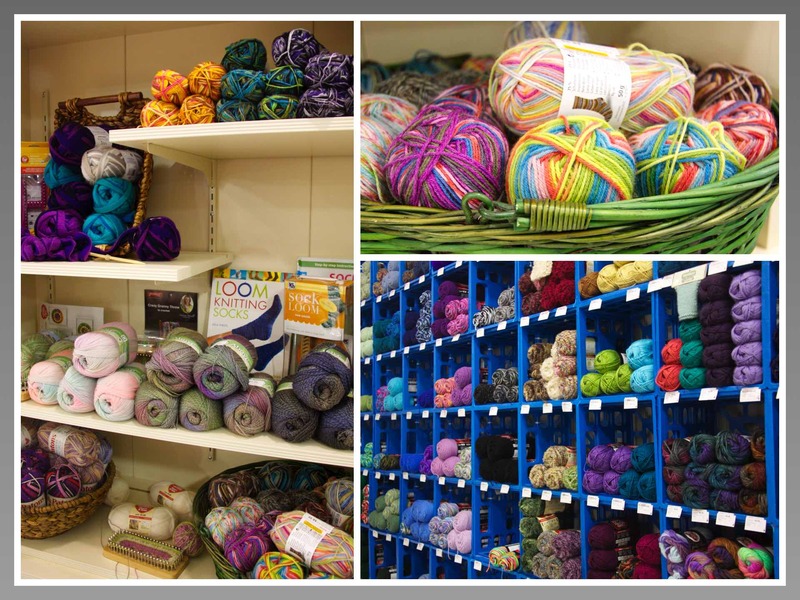 of yarn for those who enjoy crocheting and knitting. 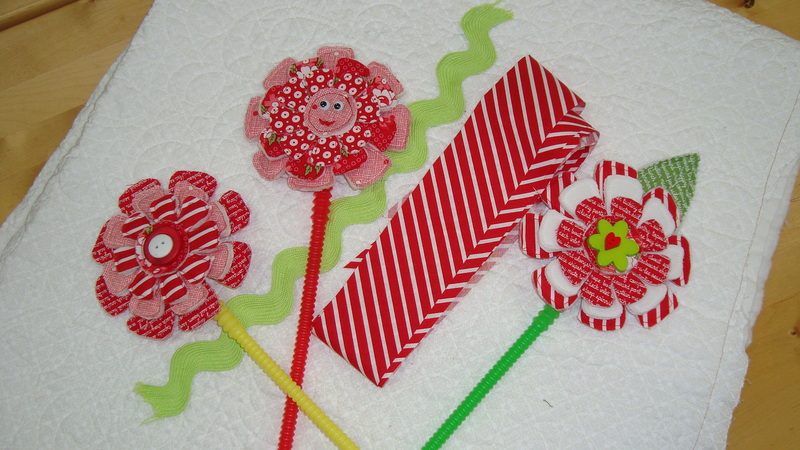 We have patterns, knitting needles, and crochet hooks as well. 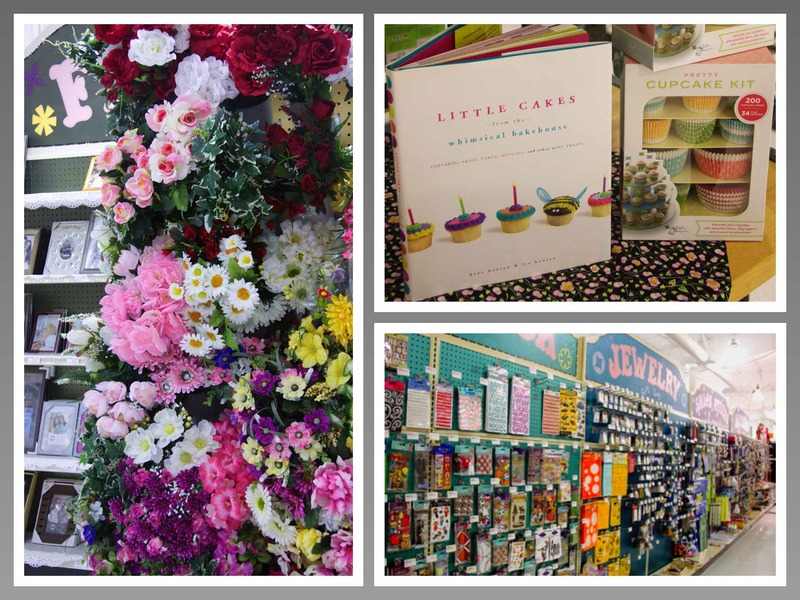 You can find scrapbooking supplies, silk flowers, arts and crafts, cake (or cupcake) decorating goodies, picture frames, and more! 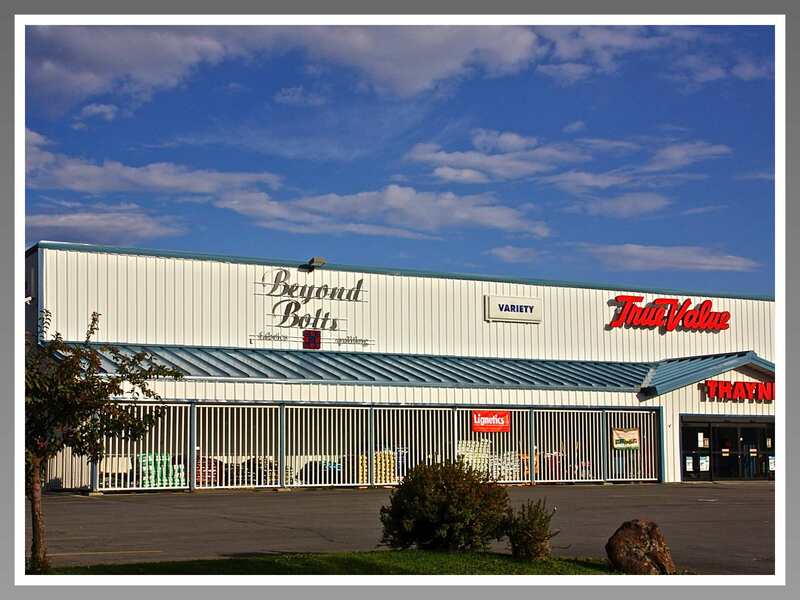 We look forward to seeing you at Beyond Bolts – Fabric • Quilting • Crafts at 120 Petersen Parkway in Thayne, Wyoming. 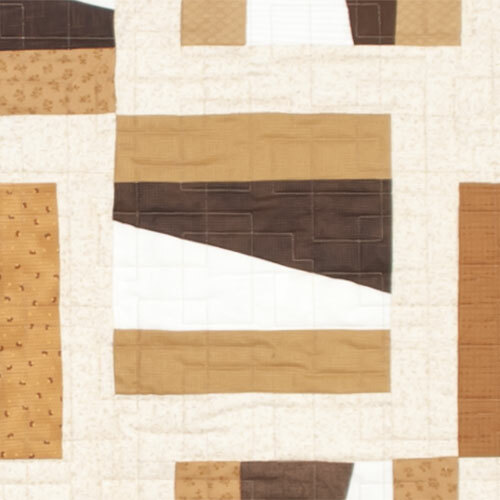 Our hope is that when you visit Beyond Bolts you discover with glee on this quilting spree! This year, we’ve added two new shops to the Shop Hop lineup! Having two of our past shops close, we are pretty excited about this. 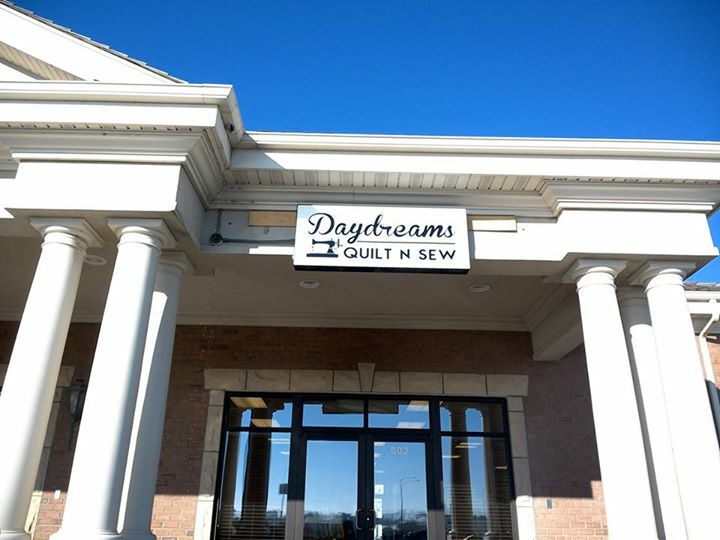 Today we’d like to introduce you to Daydreams Quilt N Sew in Idaho Falls owned by Annalee Leonard. Here she is to tell you all about herself and her shop! 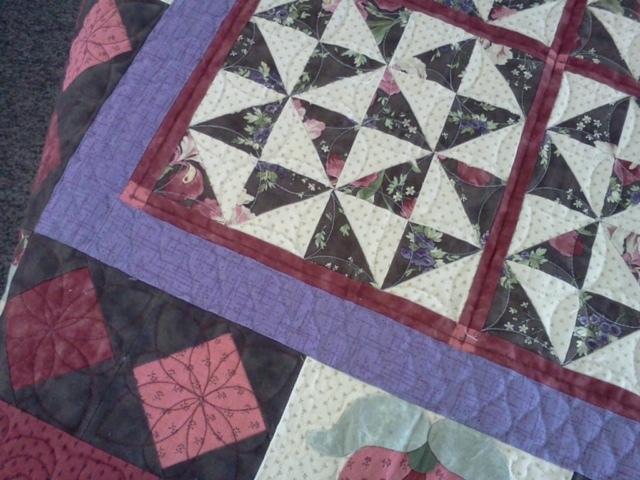 I have always loved sewing. I got my 1st sewing machine when I was 8. It was the cutest little Holly Hobby sewing machine out on the market. I got it for Christmas. Much to my dismay it didn’t work. I was so very sad. My mom decided to let me use her sewing machine. 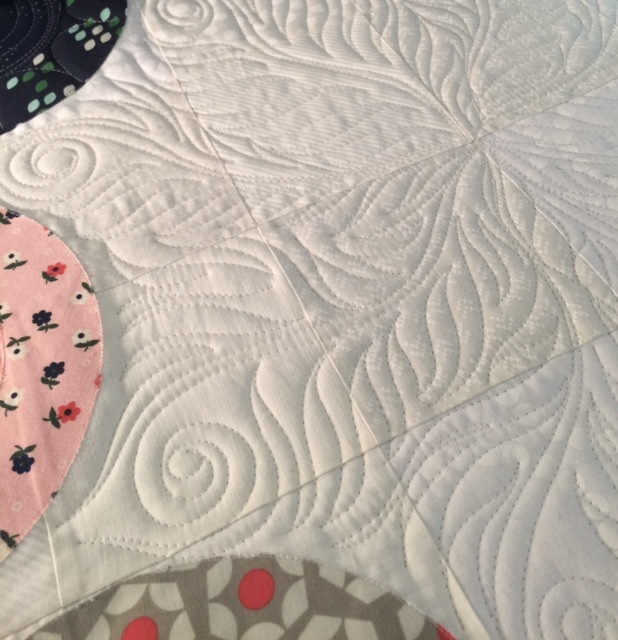 I started sewing straight lines on paper. Then I sewed lines on an old pant leg that my mom had cut off a pair of holey jeans. Then she gave me a box of scraps to make things with. 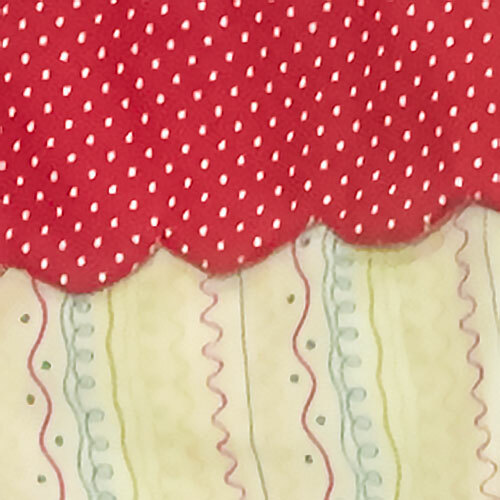 I would make my dolls clothes and bags to put stuff in etc. I was in heaven. 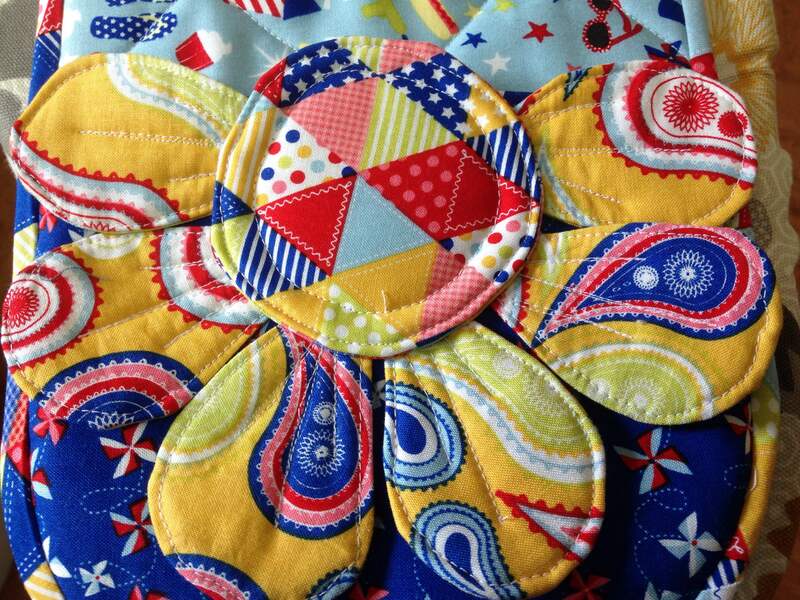 That is where my sewing adventure began.